The property is spotless, light and spacious. The bed is super comfortable. There are cooking facilities with all you need to self cater. 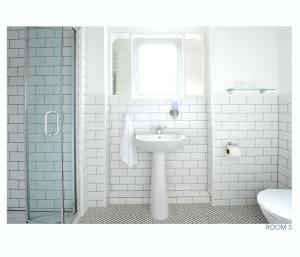 The bathroom is large, clean with a lovely shower, toiletries and hair dryer supplied. 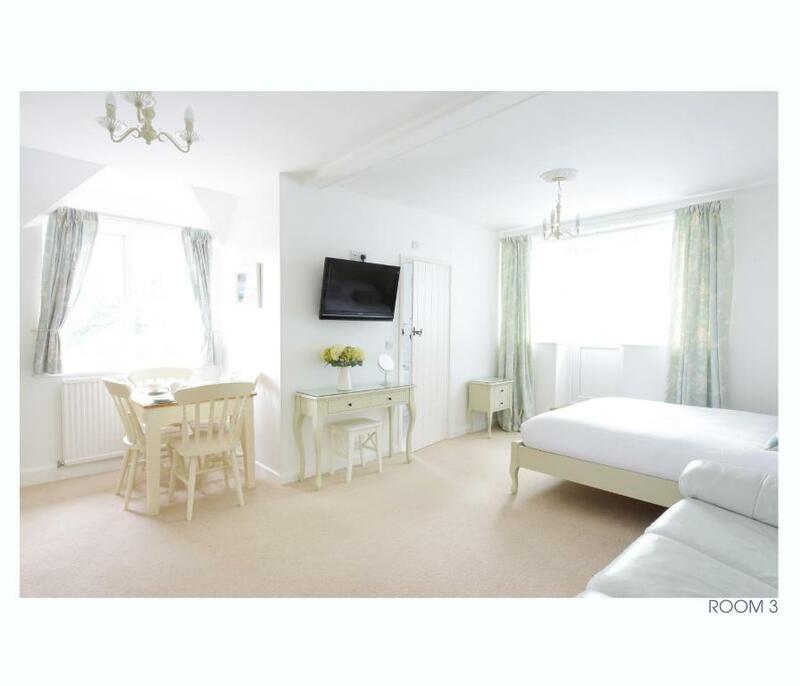 Spotlessly Clean and hosts really friendly, just wanted to ensure your stay was as comfortable as possible. Superb location, incredibly clean, comfortable and well equippped! Only comment: A couple of sachets of hot chocolate for the none tea/coffee drinkers would have been brilliant and an added bonus! The owners are very nice and friendly people. Never bothered us while we were there. Had a bit of trouble trying to work the job. But didn't want to bother the owners. Bed were really comfy, we had a small studio which had all the necessary things in a small room. We enjoyed the stay and short getaway! 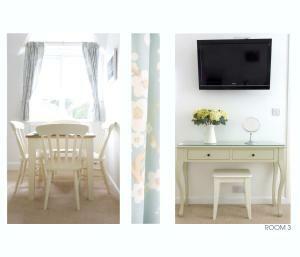 Very clean and tidy, beautifully decorated and presented! Owners were so friendly and welcoming too. Everything Absolutely stunning, friendly fantastic. It was comfortable and clean. Really good location. The apartment was lovely and very spacious, the owner also allowed us to do a bit of washing as well. Location was great just a walk into town. Lock in a great price for The Old Stables - rated 9.6 by recent guests. The Old Stables offers accommodation in Minehead, on the edge of Exmoor National Park. Free parking is available on site. The property offers 3 self-catering studio apartments, 2 with en-suite facilities and the other with a private external bathroom. They feature free WiFi and a flat-screen TV. 100% Egyptian cotton sheets are provided, along with towels. Each apartment has a fully equipped kitchenette and dining area. 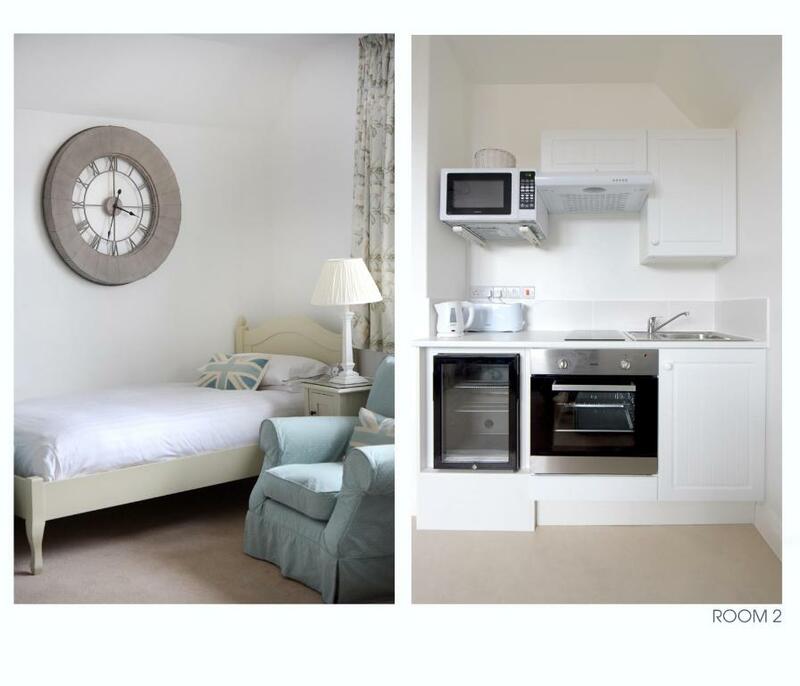 It is a 1-minute walk to the sea front and Blenheim Gardens and a 5-minute walk to Minehead town centre. The Old Stables has been welcoming Booking.com guests since 3 Jun 2017. 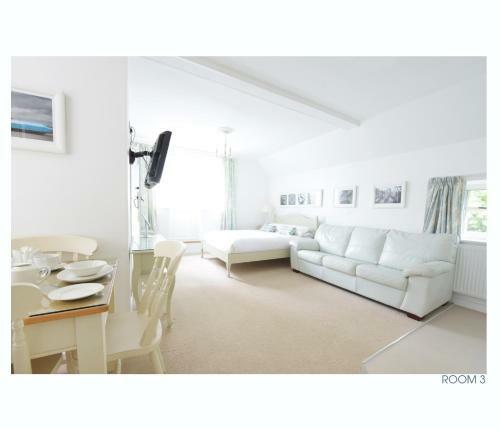 This ground floor studio apartment can accommodate up to 4 people. It has a king-size double bed and a double sofa bed. It features an en-suite shower room and toilet. It has been individually designed and decorated. The king-size bed has a 1500 pocket sprung mattress. 100% Egyptian cotton bed linen is provided, along with bath towels. 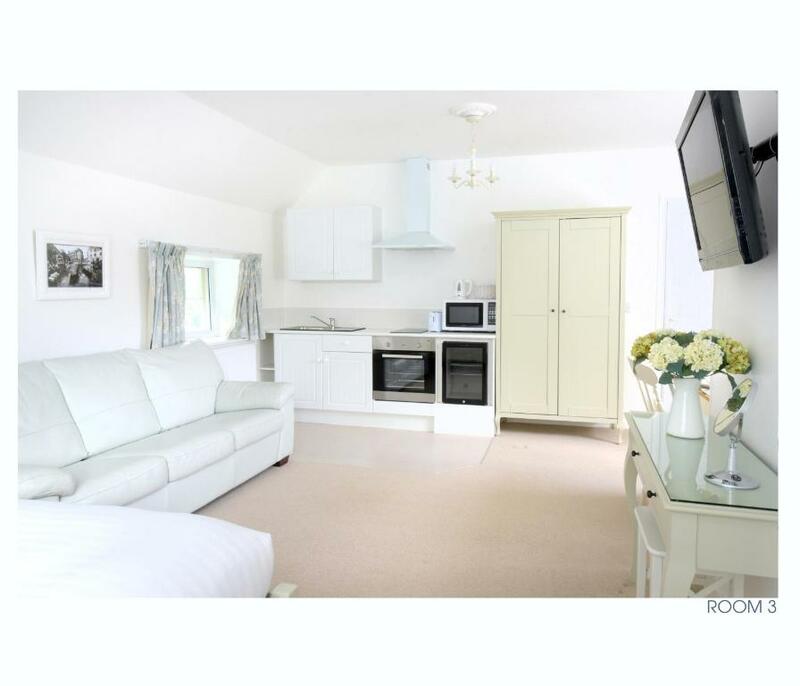 There is a separate seating area with a sofa bed, a spacious wardrobe with a safe for valuables, a chest of drawers, a flat-screen TV with a DVD player, Freeview channels / radio stations, free WiFi. Local travel books, magazines and information on the area are also offered. The kitchenette is equipped with an oven, a stovetop, a microwave oven, a fridge, a toaster, an electric kettle, kitchenware and a dining area. An iron and ironing board are available on request. 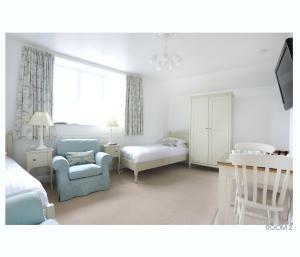 This first floor studio apartment can accommodate to 2 people. It offers a partial sea view over the Bristol Channel. It has been individually designed and decorated. It has 2 single beds with 1500 pocket sprung mattresses. 100% Egyptian cotton bed linen is provided, along with bath towels. 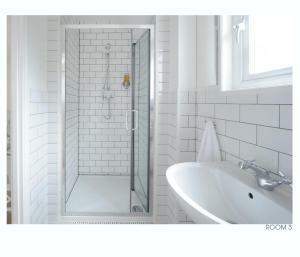 It features a external private bathroom, located 4 metres from the room. A heated towel rail, a hairdryer and bathrobes are also featured. This first floor studio apartment can accommodate up to 4 people. It has a king-size double bed and a double sofa bed. 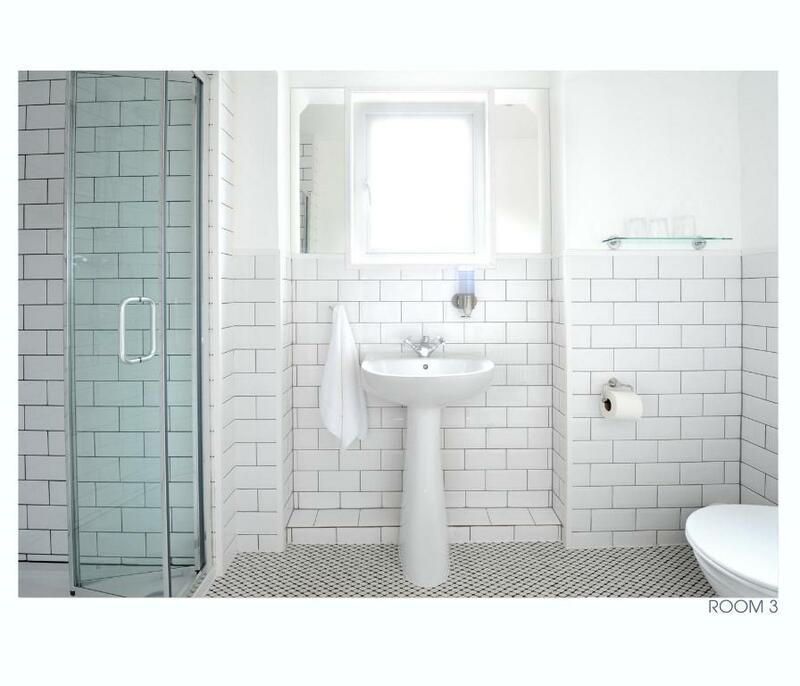 It features an en-suite shower room and toilet, with a heated towel rail and a hairdryer. It has been individually designed and decorated. Built as horse stables in 1901, the Old Stables offers old world charm combined with modern amenities and stylish interiors. The three self-catering rooms are all decorated with quality Laura Ashley furniture and soft furnishings, light carpets, modern showers and toilet amenities and kitchenettes. The Old Stables is situated conveniently on the lower slopes of the beautiful North Hill with access to the Exmoor National Park and to the start of Britain's longest walk - the 630 mile South-West Coastal Path. The sea shore and the tranquil Blenheim Gardens are only a minute's walk away - the main street of Minehead with its shops, cafes, entertainment and the historic steam trains being only a 5 minute level walk. We provide off-street parking in our own car park for one car per room. Nothing it was great especially the little extras left in the rooms for arrival. Really nice touch. Noise from guests in room above, very loud and went on till late, TV loud from them. The hosts made a lot of noise going into the cleaning cupboard on our first day and leaving day. Guests upstairs left early and we left for 10am and had a headache from the noise of hosts cleaning the room. Sounded as though suitcases and vacuum dragged across the floor. Considering check-out is 10am and check-in is 3pm according to my booking there was plenty of time to clean both rooms after all guests had left. 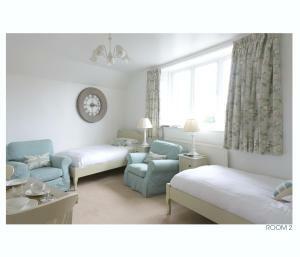 Large spacious room, with all amenities for self-catering. Also had outside space if weather good. Close to town and beach. Poor insulation from sound of neighbours noise.